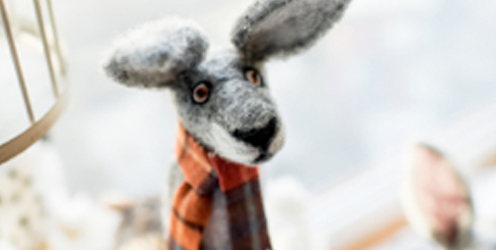 Needle felting, wood turning, pottery, artwork and photography. Feather art, sewn items, fabric, jewellery, rag rugs and machine sewn pictures. Something for everyone. We also sell spinning wool, and needle felting supplies. We run workshops showing needle felting and will shortly be able to offer other crafting skills. We have a facebook page The Crafty Pair, where you can contact or look at our range of crafts, or book for courses. We are on Cleveland Way Helmsley. We open from 10am to 4pm. Wednesday to Sunday. Shut Monday and Tuesday.